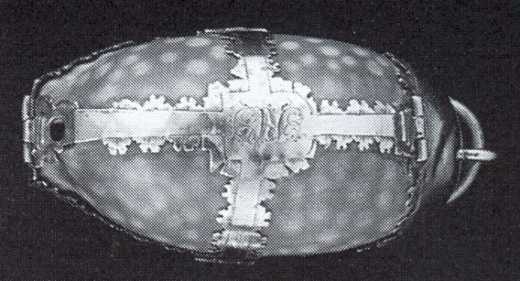 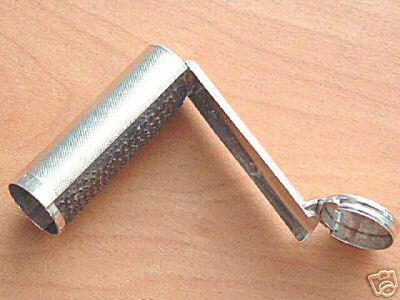 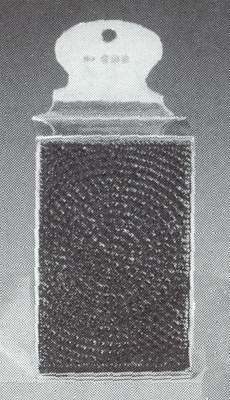 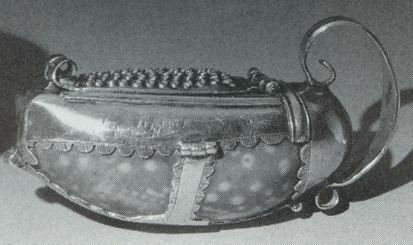 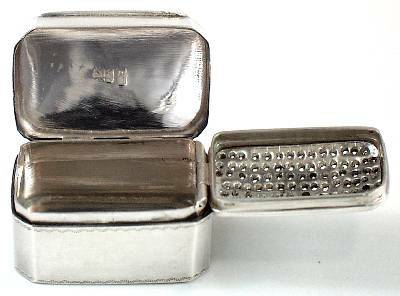 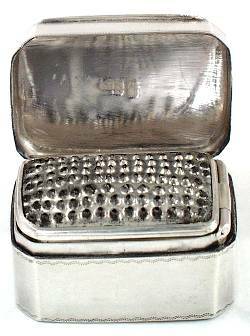 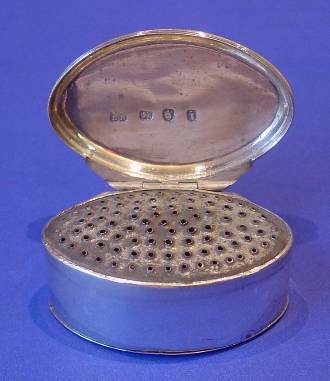 The nutmer grater is an implement for grating nutmeg used principally during the period 1780-1840. 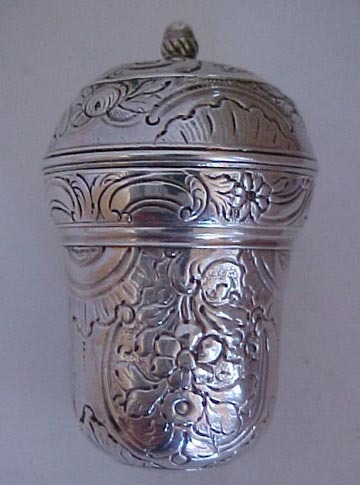 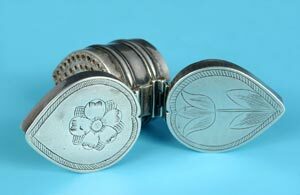 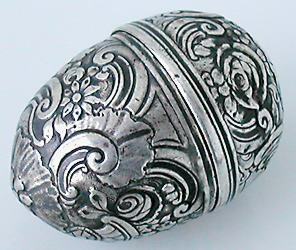 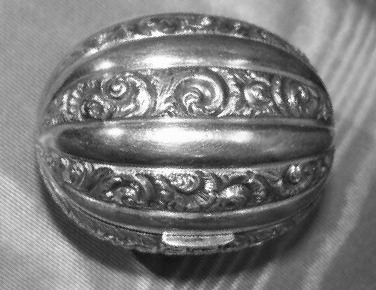 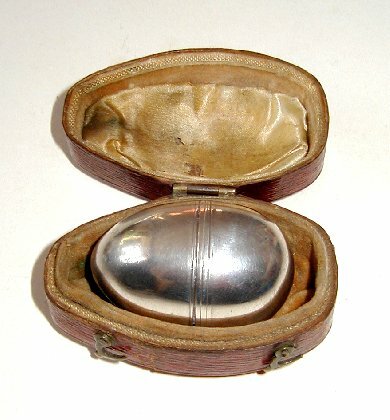 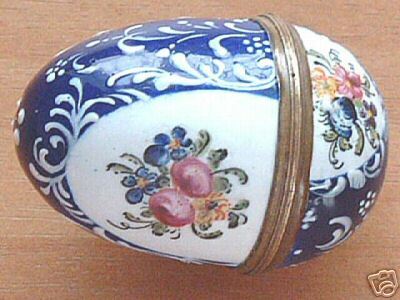 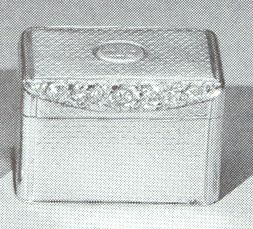 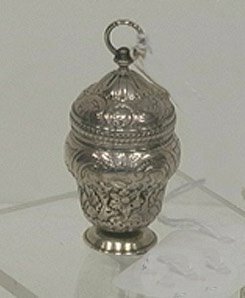 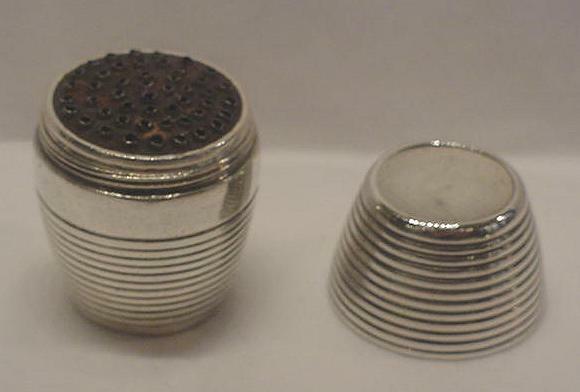 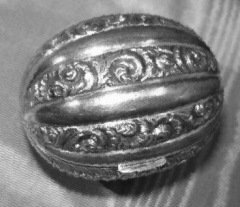 There were two type: portable or table type.The systematic production of silver graters for nutmeg began in the late seventeenth century. 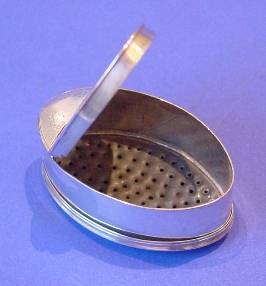 A revolution in manners then gripped colonial America, as sophisticated Britons on both sides of the Atlantic began serving punch - a brew of rum or brandy, fruit juice, sugar, and water laced with grated nutmeg and sugar - and a nutmeg grater became an essential addition to the ' punch equipage '.